The juice extraction process of fruits and vegetables is an important step in the processing of fruit and vegetable juice drinks. The process of juice extraction can affect juice yield, the quality and productivity effect. 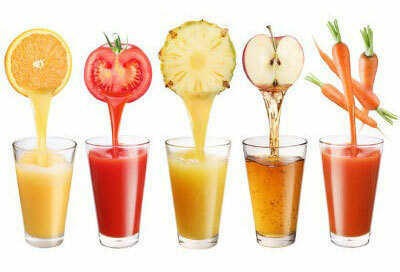 Different raw materials and product forms are also have different processes of juice extraction. Press and juice extraction is a widely used method of juice extraction in production, which get juice by extruding from fruit and vegetable or fruit and vegetable pulp. The process is mainly used in fruits and vegetables with rich water content. The press can be divided into cold pressing, hot pressing and even freeze pressing according to the temperature of the raw material when the juice is pressed. Solvent extraction is the process of transferring juice from fruit and vegetable cells to a liquid extract (hot water). The process is mainly used in dry fruits with little water content or fruits and vegetables with higher pectin content, such as wild jujube, dark plum, red dates, haw and etc. Solvent extraction can be divided into static extraction, countercurrent extraction, single leaching and multiple leaching. The main influencing factors of extraction rate are extraction temperature and time, crushing degree of raw material, concentration difference, current velocity and so on. Beating. The beating engine crushes the broken fruits and vegetables and separates the seeds, stones and peels from fruit, finally get fruit (vegetable) puree. The fineness of the puree can be achieved by selecting different beating engine screen sizes. The process is suitable for production of fruit and vegetable puree and fruit nectar, such as strawberry juice, mango juice, peach juice, haw juice and etc. To decrease the enzyme activity and prevent browning, the fruits and vegetables raw materials need to be precooked immediately in the pre cooking machine after crushing. Then beating begins, three courses beatings are needed generally in processing line. The size of the sieve aperture is 1.2mm, 0.8mm, 0.5mm, and the smaller the pulp granules after beating are good for homogenizing treatment. If a single beating, sieve size can not be too small, otherwise it is easy to plug mesh. The juice also can be extracted by centrifugal force. Horizontal spiral centrifuge can separate the juice from the flesh with the principle of centrifugal force. The purees of raw materials are sent into centrifuge room of rotating-drum through central feed pipe, the slags are thrown onto the barrel wall under the action of high speed centrifugal force, the screw conveyor continuously delivers the pomace to the tapered end of the drum. Through threaded gap, the fruit and vegetable juices flow out of the front end of the drum. Rough filtration is the process of removing larger particles or suspended particles dispersed in the fruit and vegetable juice. In addition to the beating process, fruit and vegetable juices obtained by other processes contain large amounts of suspended particles, such as pulp fiber、peel、 kernel and etc. The suspended particles can affect the appearance quality and flavor of product, so timely removal is necessary. 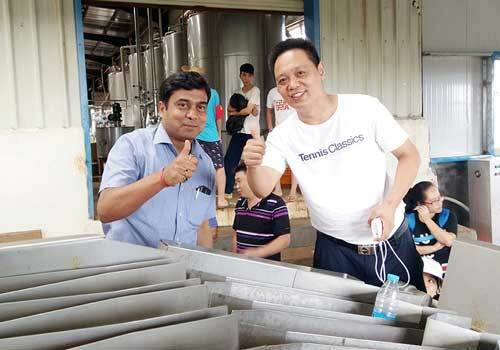 Rough filtration can be carried out in the juice extraction process. In the process of fruit juice production, the vibrating screen is usually used for rough filtration. Generally, the juice of fruits and vegetables can reach the requirement through 0.5mm aperture filter. Our company provides fruit juice processing line, please contact us if you are interested in processing juice. We will make the most professional and reasonable production plan for your fruit juice products. What Should be Paid Attention to in the Process of Juice Production?